Billy Idol in Montreal or Quebec City? Inform me about the next events for Billy Idol. 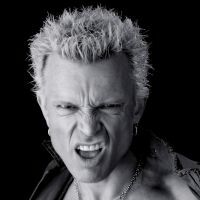 Enroll yourself to our priority waiting list for Billy Idol to be alerted when new tickets are available. Filling this form doesn't engage you to any purchase. Billy Idol is coming back to Montreal for a concert at Metropolis, on February 3rd, 2015. The British punk rocker will be accompagnied by his old pals Steve Stevens (guitar), Stephen McGrath (bass) and Derek Sherinian (keyboards) as well as new mates Billy Morrison (guitar) and Jeremy Colson (drums).